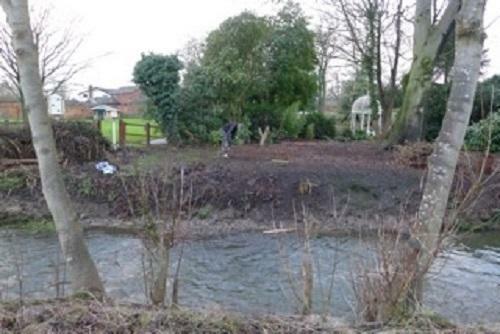 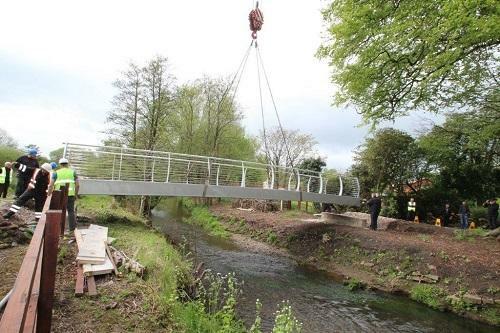 A joint project with Longridge and North of Preston Rotary Club to build a footbridge over the River Lostock at St Catherines Hospice in Lostock Hall. 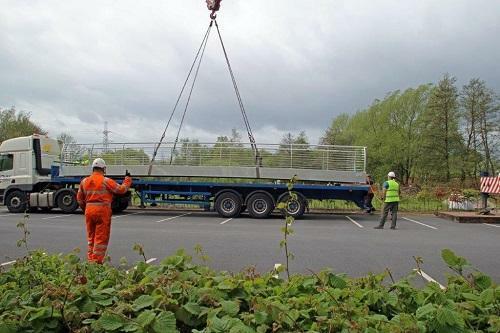 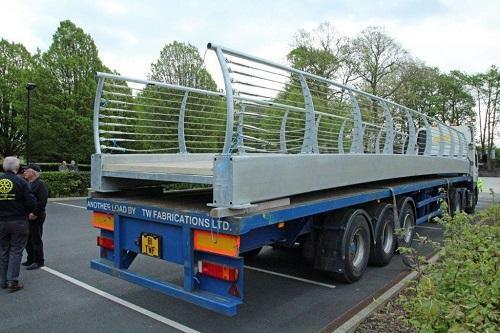 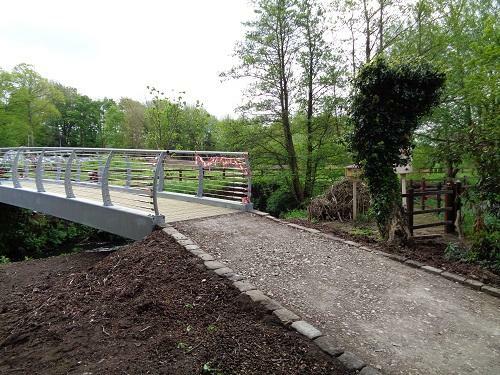 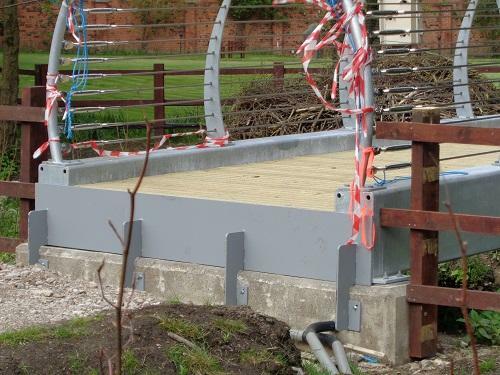 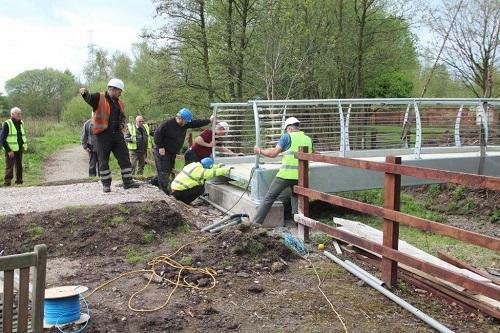 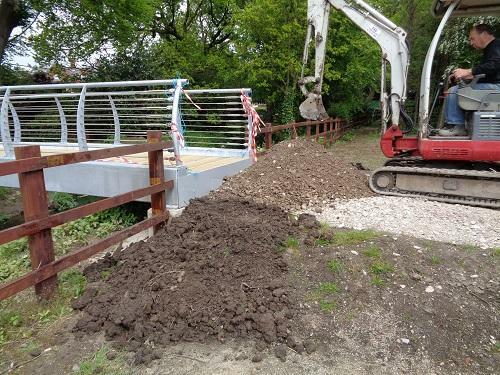 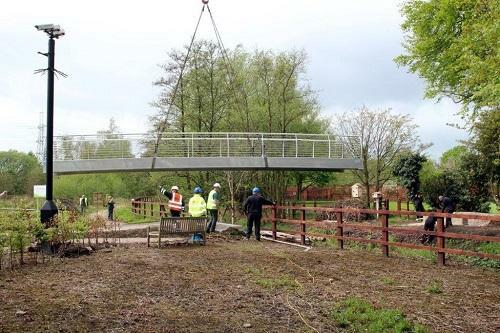 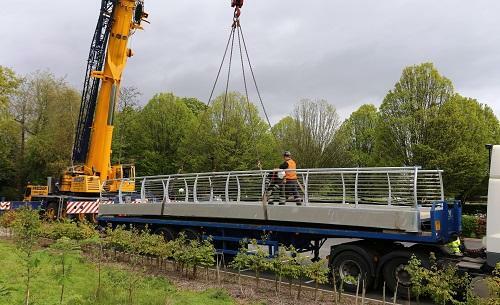 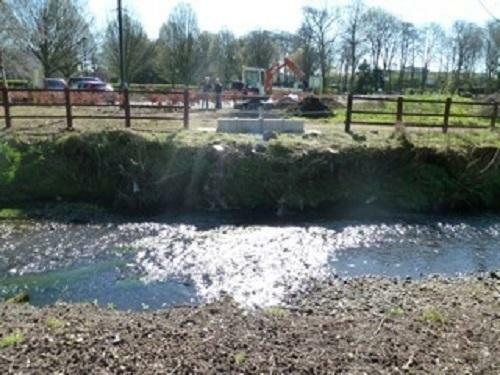 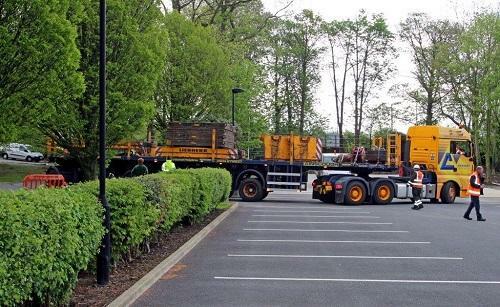 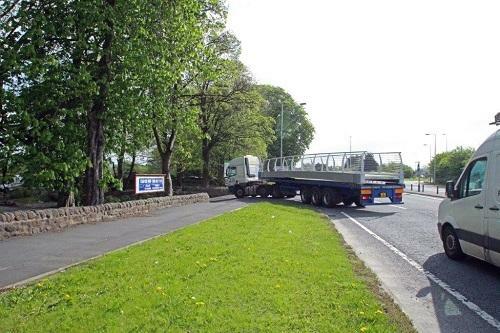 On Sunday 10 May 2015 the culmination of nearly two and half years of effort resulted in the lifting of the new footbridge over the River Lostock in the grounds of St Catherine’s Hospice. 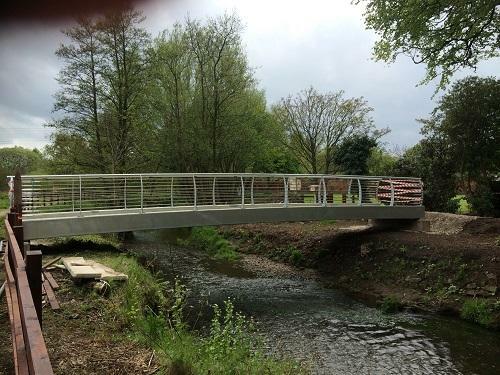 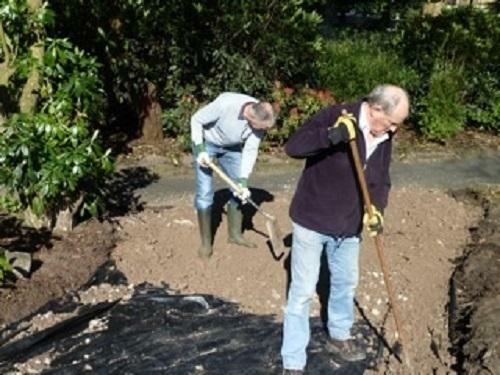 The Rotary Club of Preston North (now the Rotary Club of Longridge and North Preston) agreed in 2013 to provide a new footbridge and subsequent discussions with the Rotary Club of Preston South resulted in the collaboration between the two Clubs in order to bring about the project. 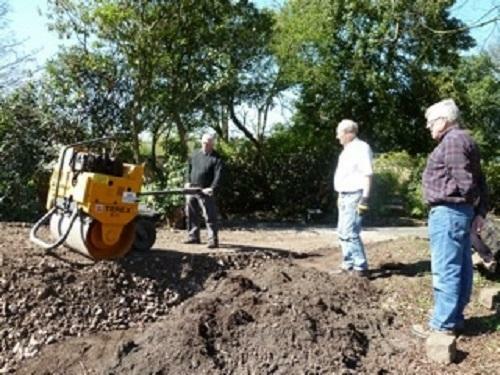 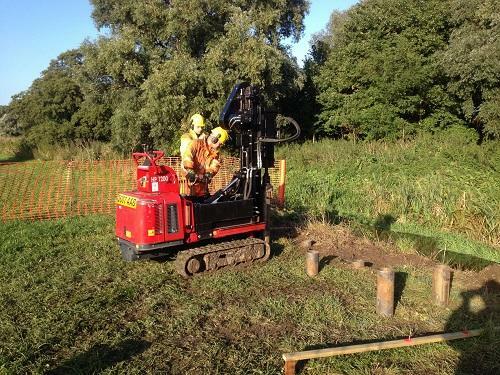 The history of the project has been protracted and whilst an application for funding to Rotary HQ was turned down, our overseas sponsoring Club, Halifax Harbourside Rotary Club in Nova Scotia, decided to send a significant donation to the cost of the project. 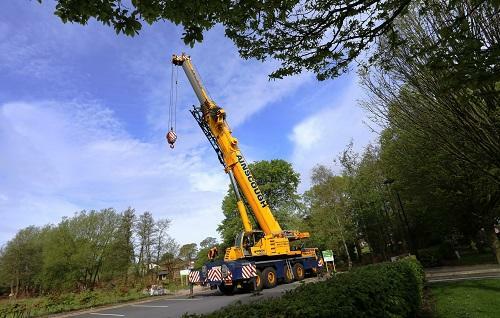 The contact made between the three Clubs has also resulted in the progressing of a study by Halifax Harbourside into the possibility of establishing a new Hospice in Nova Scotia and a site has now been procured. 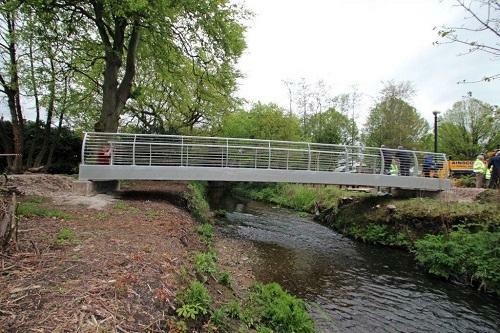 Therefore in addition to building a footbridge over the River Lostock an international “bridge” has been built involving the three Rotary Clubs and St Catherine’s Hospice. 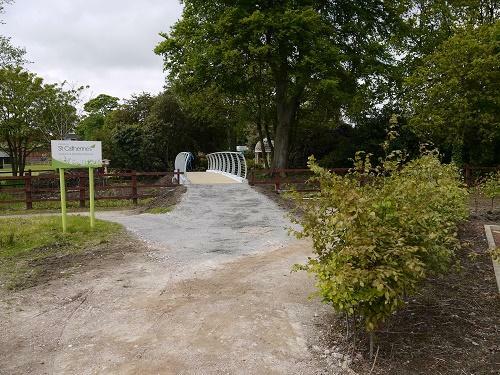 Since the lifting of the footbridge into place the connecting paths north and south of the river have been completed and the bridge is in use although not yet officially open. 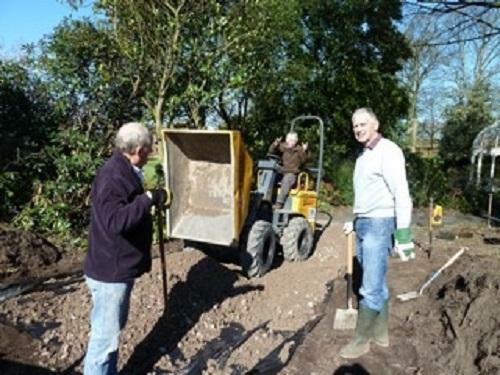 The Rotary Clubs are deeply grateful for the support given freely by a number of organisations and individuals to make the project a success. 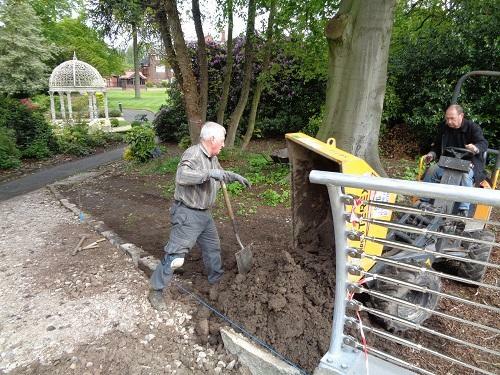 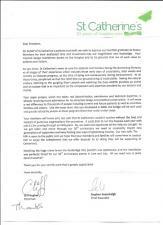 It is intended to publicly recognise these contributions at the offical opening later this year.